A study of 338 patients with coronary artery disease has identified a gene expression profile associated with an elevated risk of cardiovascular death. Used with other indicators such as biochemical markers and family history, the profile – based on a simple blood test – may help identify patients who could benefit from personalized treatment and counseling designed to address risk factors. 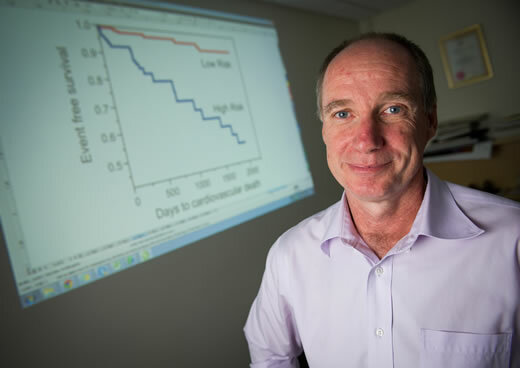 "We envision that with our gene expression-based marker, plus some biochemical markers, genotype information and family history, we could produce a tiered evaluation of people’s risks of adverse coronary events," said Gregory Gibson, director of the Center for Integrative Genomics at Georgia Tech and one of the study’s senior authors. "This could lead to a personalized medicine approach for people recovering from heart attack or coronary artery bypass grafting." "What’s new in this research is the recognition that this risk pathway exists and that it relates to particular aspects of immune system functions that include T-cell signaling," said Gibson, who is also a professor in Georgia Tech’s School of Biology. "We went beyond the signature of coronary artery disease to really provide a signature for adverse outcomes in that high-risk population." The pattern, said Gibson, doesn’t indicate the causes of the disease. The researchers would now like to expand the study to include a larger group of patients and learn more about what causes the disease. They’d also like to know whether the risks can be reversed through diet, exercise or drug therapy. 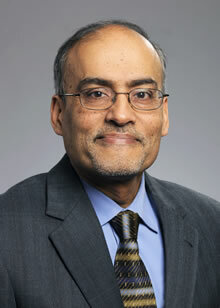 Cardiologist Arshed Quyyumi, the paper’s other senior author, directs Emory University’s Clinical Cardiovascular Research Center and created the Biobank five years ago to facilitate cardiovascular research. He says that identifying patients at highest risk could help encourage their compliance with treatment programs, and prioritize introduction of newer therapeutics, such as cholesterol lowering medications like PCSK9 inhibitors. "A number of patients with CAD are currently not maximally treated," said Quyyumi, who is a professor in Emory’s School of Medicine. "In those that appear to have been prescribed adequate medication, a significant proportion of subjects are non-compliant with their medications. Thus, knowledge of a high risk genetic profile in a patient can prompt both the patient and physician to maximize currently available medications and improve patient compliance." CITATION: Jinhee Kim, Nima Ghasemzadeh, Danny J Eapen, Neo Christopher Chung, John D Storey, Arshed A Quyyumi and Greg Gibson, "Gene expression profiles associated with acute myocardial infarction and risk of cardiovascular death." (Genome Medicine 2014).